Want it by Monday 29th April? Order within 4 hours, 46 minutes and choose Next Day Signed For (Special Delivery) at checkout. 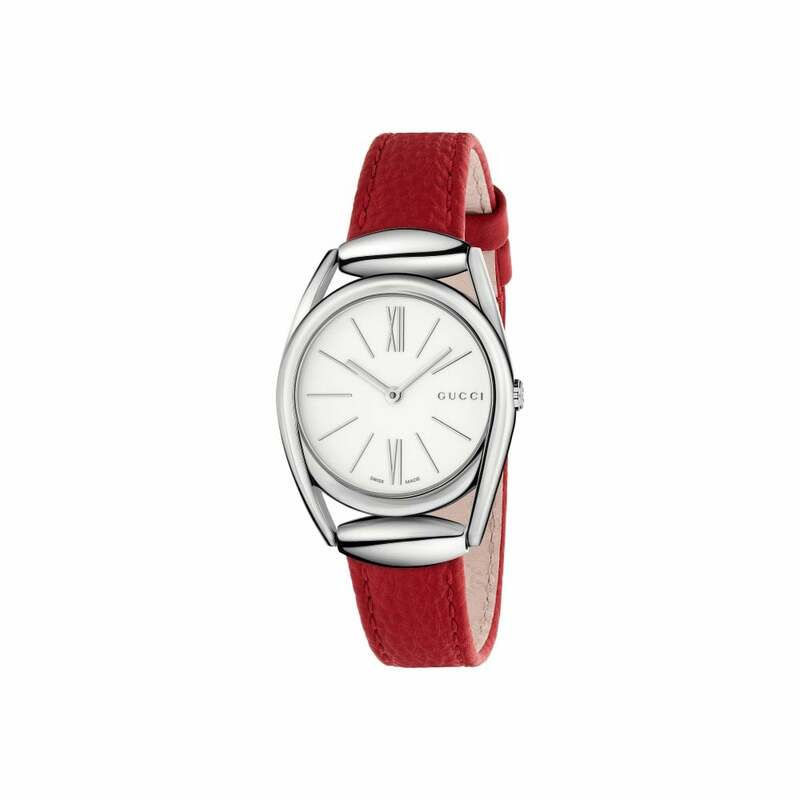 Gucci Ladies Horsebit watch, swiss quartz movement, stainless steel case and red leather strap, white dial, silver hands and sapphire glass. Comes with official Gucci box and 2 year guarantee.